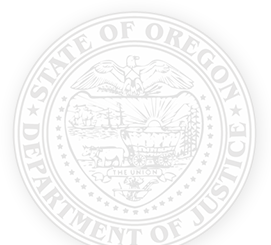 Every two years, the Oregon Department of Justice (DOJ) works with the Governor and Legislature to prepare a new budget. First we prepare an Agency Request Budget (ARB). The ARB is then used by the Governor’s Office to prepare the Governor’s Requested Budget. The Legislature reviews this and prepares a Legislatively Adopted Budget. The ARB reflects what we need to support the Oregon DOJ for the next two years. It also describes our work in each division and any requests for additional resources.